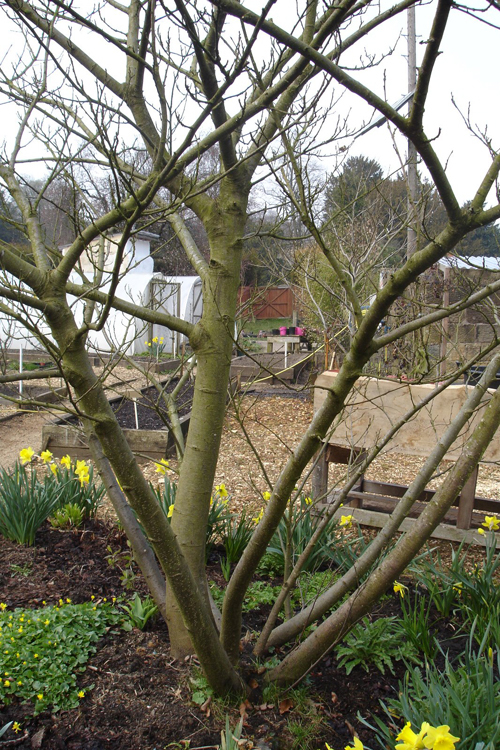 We’ve been meeting the Bach Flower Remedy trees growing at Offshoots and the surrounding area, observing how they grow, sharing our impressions of each tree and discussing their uses as Bach Flower Remedies. 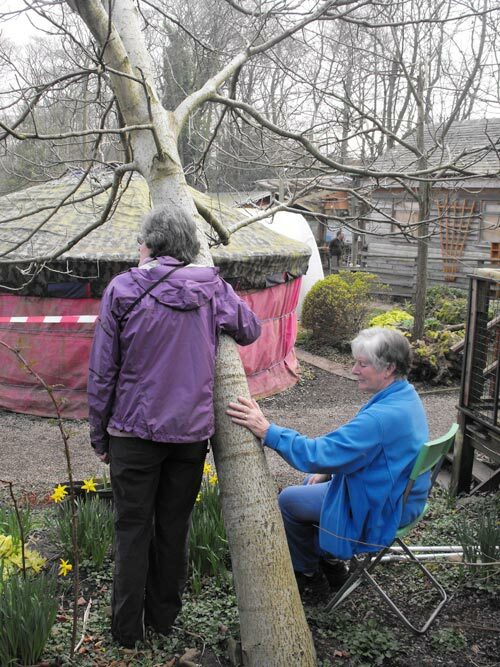 Come along and meet some of them with us….hornbeam, elm, oak, walnut, beech and sweet chestnut. Hornbeam flower remedy releases procrastination and brings mental alertness. Very useful if you find it hard to get going in the morning, get tired sitting in front of the computer or feel weary about routine in your life. Hornbeam (Carpinus betulus) looks muscular and sinewy, almost like a human body. The remedy is made from the lemon-coloured catkins that are full of bright vitality. 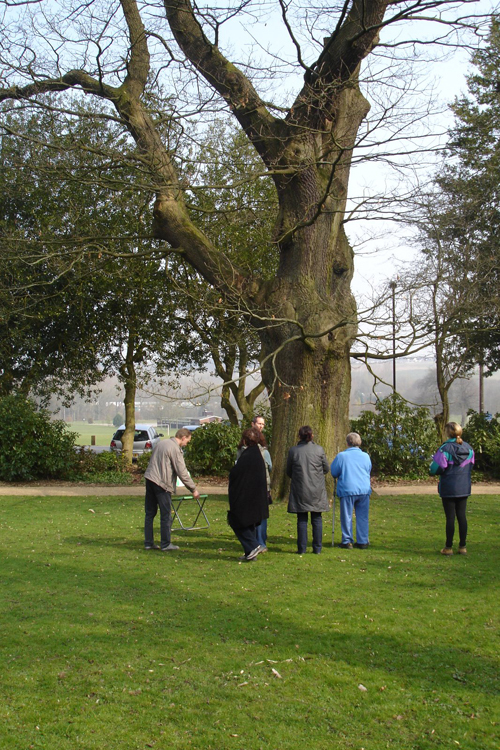 We’ve been meeting the Bach Flower Remedy trees growing at Offshoots and the surrounding area, observing how they grow, sharing our impressions of each tree and discussing their uses as Bach Flower Remedies. Come along and meet some of them with us….beech, oak, elm, walnut, sweet chestnut and hornbeam. Beech flower remedy is for when we feel critical or judgemental about anyone who is different from us. It helps us to be more tolerant, accepting and flexible. Beech (Fagus sylvatica) creaks and groans like someone having a good moan! It has no tolerance for other species growing beside it in the woodland. The flower remedy is made from tiny wiry little flower spikes which can be seen in April- May. We’ve been meeting the Bach Flower Remedy trees growing at Offshoots and the surrounding area, observing how they grow, sharing our impressions of each tree and discussing their uses as Bach Flower Remedies. Come along and meet some of them with us…. oak, elm, walnut, sweet chestnut, beech and hornbeam. Oak flower remedy restores physical energy and strength when you’re exhausted. It’s for people who are normally resilient, strong and hard-working but keep going without resting so become worn out. Oak (Quercus rober) supports the largest number of species in the woodland. Ancient oaks are among the oldest living beings on earth; solid, protective and strong. The remedy is made from the tiny red female flowers which can be seen in April-May in the UK. We’ve been meeting the Bach Flower Remedy trees growing at Offshoots and the surrounding area, observing how they grow, sharing our impressions of each tree and discussing their uses as Bach Flower Remedies. Come along and meet some of them with us…. sweet chestnut, elm, oak, walnut, beech and hornbeam. Sweet Chestnut flower remedy is for the dark night of the soul; when you feel utter despair and are shut off from all light and joy. 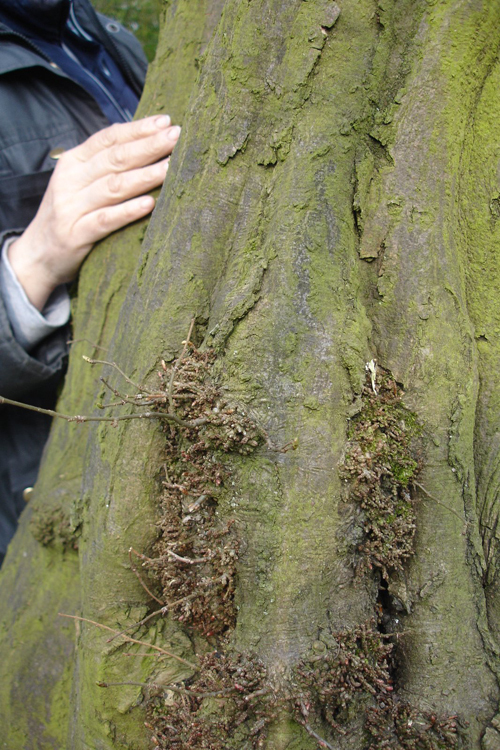 The bark of the sweet chestnut (Castanea sativa) tree becomes deeply furrowed with age, yet it has a silvery shine to it. The tree has a spiral pattern which journeys up to the light, The flower remedy is made from its catkins which, unlike most other catkins, point up to the light. 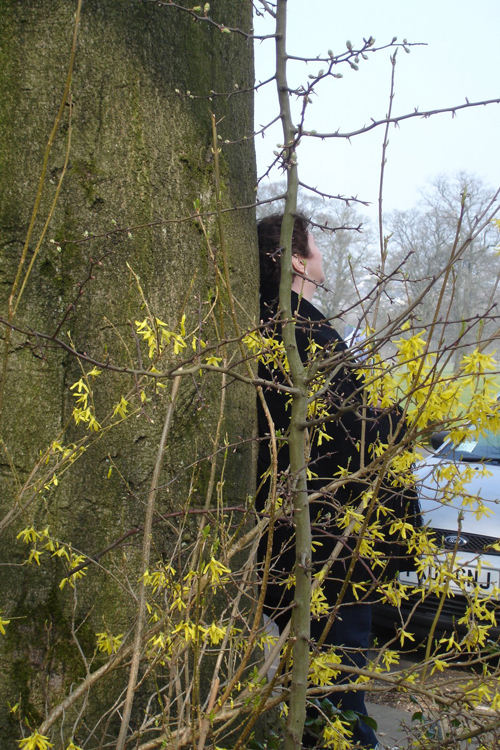 We’ve been meeting the Bach Flower Remedy trees growing at Offshoots and the surrounding area, observing how they grow, sharing our impressions of each tree and discussing their uses as Bach Flower Remedies. Come along and meet them with us…. walnut, elm, oak, sweet chestnut, beech and hornbeam. Walnut flower remedy supports you through changes in life, both emotional and physical. It protects and strengthens you when you’re feeling vulnerable. Walnut’s female flowers arrive in May looking like little wombs and walnut’s a popular flower remedy during pregnancy. Walnut (Juglians regia) is a thin barked tree, vulnerable to squirrel damage at Offshoots and needing shelter to thrive in the UK.